There aren’t many people who can claim they’ve run two of New England’s biggest public relations firms. Larry Weber can. He might be best known for the PR agency that bears his name, Weber Shandwick, which the Weston resident left more than 10 years ago. Now, he’s chief executive of Racepoint Global, which employs more than 200 people, including 125 at its office in Boston’s Financial District. Weber, 60, is the author of five nonfiction books, and making plans for his sixth. He spoke to Globe reporter Jon Chesto about that book, the various hats he’s worn over the years, and a big local merger that never came to be. 1 Weber built his first business with the help of Massachusetts’ technology miracle. He had developed an interest and expertise in tech PR while working for Ed Eskandarian at Humphrey Browning MacDougall, later known as HBM/Creamer. Weber went out on his own at age 31 in 1987 to launch the Weber Group. Some of his clients included Data General, Lotus Development, Digital Equipment Corp., and Wang Laboratories — tech giants that have vanished. 2 Before Weber sold Weber Group to Interpublic Group in 1996, he considered merging it with Mullen, the ad agency then based in Wenham and led by Jim Mullen. Both agencies ended up under the Interpublic umbrella, along with Jack Connors’s ad agency, Hill Holliday. 3 While at Interpublic, Weber helped lead a rollup of smaller PR firms, shaping Weber Shandwick into the firm it is today. He tried to fill holes in the agency’s coverage, both in terms of geography and practice areas. By 2001, he says, the group had acquired more than 25 companies around the world. 4 Weber left Interpublic in 2004. He invested in Racepoint in 2005, became its chief executive, and built it into one of Boston’s biggest PR firms. This led to some awkward moments when he finds himself competing against his old agency, Weber Shandwick. Some potential clients are surprised that he no longer works there. 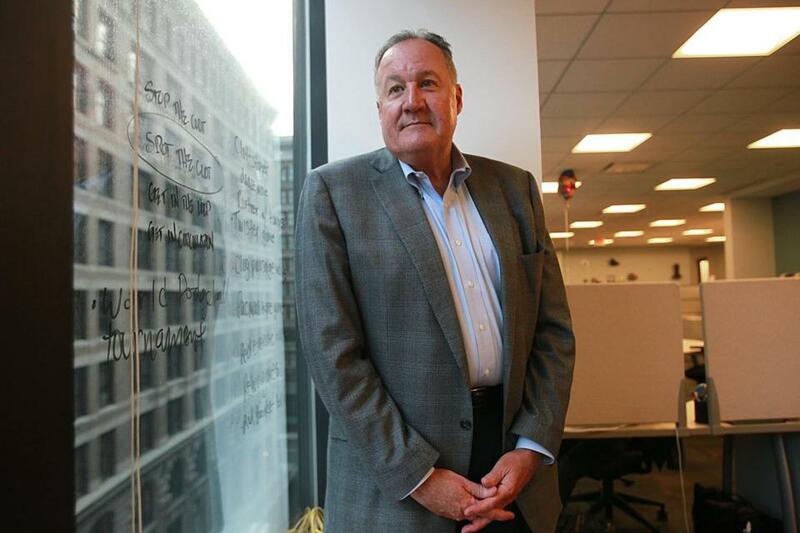 Weber Shandwick’s Boston office is led by Micho Spring. 5 Being an author helps in a number of ways. Weber interviews clients for his books, helping build their exposure. He interviews potential clients as well. It’s a creative outlet for him. And handing over a hardcover can leave a good impression when he’s trying to drum up business.